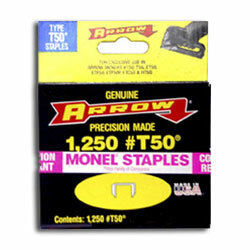 5/16" Monel staples with 3/8" crown for marine or outdoor use. 100% corrosion resistant. Package of 1250 staples.